Remember my Library Haul post? 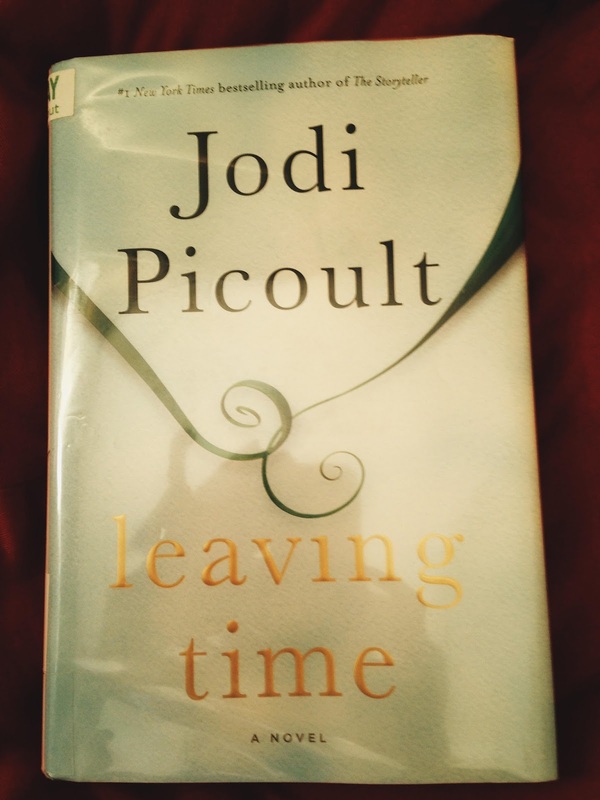 It’s almost a month later and I’ve managed (finally) to finish ‘Leaving Time’ by Jodi Picoult. I wonder if that is the author’s real name or her nom de plume – is it deliberate that her last name rhymes (kinda) with occult? I hope I haven’t given too much away. The protagonist is 13-year old Jenna Metcalfe who was three when her mother Alice disappeared. Her disappearance follows a tragic accident on the elephant sanctuary in New Hampshire run by Alice and her husband Thomas. Her memories of her mother are hazy as a three year old’s would be. But she is on a mission to find out what happened to her mother. Ten years is a long time to be gone and Alice’s trail is colder than yesterday’s coffee. But in the hopes of finding her mother, Jenna pores over Alice’s journals. Alice was an elephant researcher in Botswana, so the journals mostly contain notes about her studies about grief in elephants, but Jenna thinks someday she will find a clue in them. She enlists the help of Serenity Jones, a disgraced celebrity psychic who now does $10 readings in a broken down apartment and Virgil Stanhope, an ex-cop now an alcoholic private detective, who was on duty the day her mother disappeared. Serenity and Virgil become Jenna’s allies in her search for her mother. The story is narrated by Jenna, Alice, Serenity and Virgil. What I love about books with multiple character narrations is how different each one’s perspective of a single event is. Alice’s narration is mostly about elephants and their response to grief. Jenna is the quintessential 13-year old, but someone who is wise beyond her years and a dogged determination to find out what happened to her mother that fateful day. Serenity’s and Virgil’s characters are etched out beautifully, Virgil relies on cold hard facts and Serenity is all about the “other side”. In spite of their differences in approach, they come together for Jenna. What is amazing about this book is the amount of research on elephant behavior by the author but that is also what disappointed me. There’s just too much information on elephants to the point where Alice’s clinical research started boring me. Although informative, I thought it fogged the plot a little bit and I didn’t always get the connection. I wanted to skip to Jenna or Serenity or Virgil. Having said that, the suspense was thrilling in an unputdownable way. So there’s elephants, the paranormal, a mother and a daughter and then Bam! comes the twist in the tale. The ending is crazy, in a good way. I did not see that coming. You’ll either love it or hate it. Through this book, Picoult expertly weaves elephant relationships, especially the mother-daughter relationship with humans. Turns out although we belong to different species, we deal with grief and separation in the same way.